Join us at The Mercantile on Main for their Spring Fling! Several of our adoptable dogs will be there and we know how excited you’ve been about meeting them! 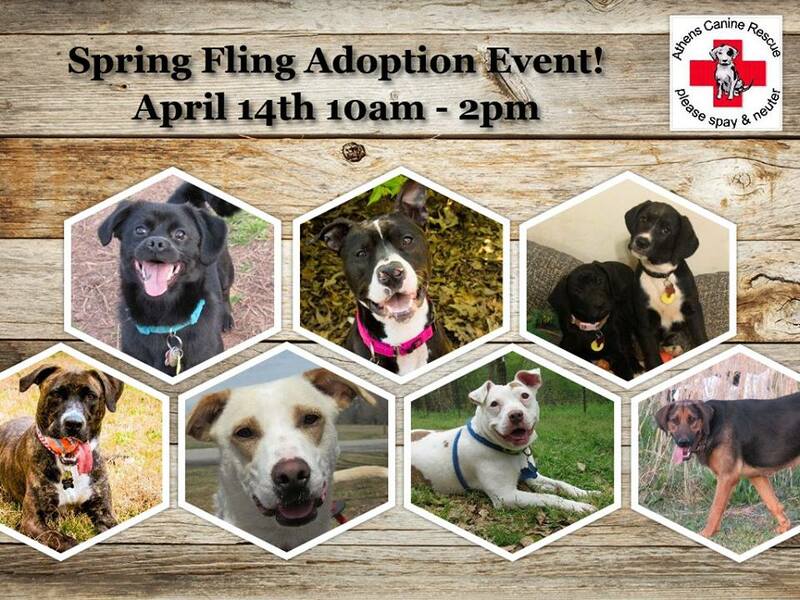 If there is a specific pup you are interested in meeting, please fill out an adoption application and let us know that you’ll be at this event! We’ll also have ACR T-shirts, bandanas, and bowties for sale! Athena, Marti, Tito, and Sammy will be there 10 am – 12 pm. Yoshi, Sierra, Lucille, and Kaylee will be there 12 – 2 pm. This is also the first day of the 2018 Oconee Farmer’s Market so there’s lots to do and fun for the whole family!